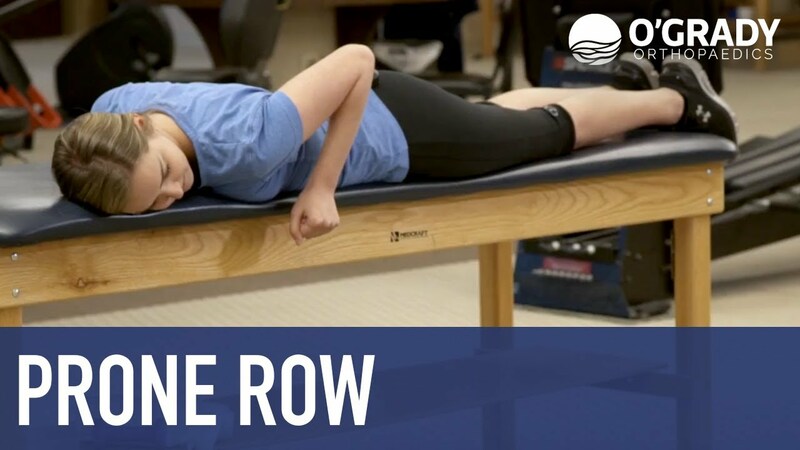 In this video, you will learn how to properly execute a prone row. This exercise is beneficial for strengthening the shoulder musculature before or after undergoing surgery, or after sustaining an injury. To increase difficulty, use a dumbbell or kettlebell to add weight to the motion. This exercise can be done 2-3 times daily, at 3 sets, 10 repetitions, with a 3-second hold at the top of the motion. NOTE: Consult with your doctor or physical therapist before completing this exercise.